Mental health is often overlooked because it can be a sensitive subject, but it is nothing to be nervous about. You may not think it at this moment in time, but lots of people go through the same emotions as you. According to a YouthSight HE Insight Club report; almost 80% of students say they experienced a mental health issue in 2017. We understand as students you’ll worry about exams, heavy workloads, loneliness and/or money problems – but please try not to stress about it, everything will be ok! At Coventry University, the Health and Wellbeing Centre is here to offer you support for a huge range of needs you may have. What does the term ‘mental health’ actually mean? Mental health is the term for your emotional wellbeing, and mental health problems can affect anyone; they impact on the way you feel, think and behave, which is why raising awareness about mental health is vital. You can find out more about mental health including various support options at Mind. 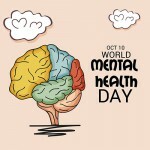 Do many people suffer with mental health issues? 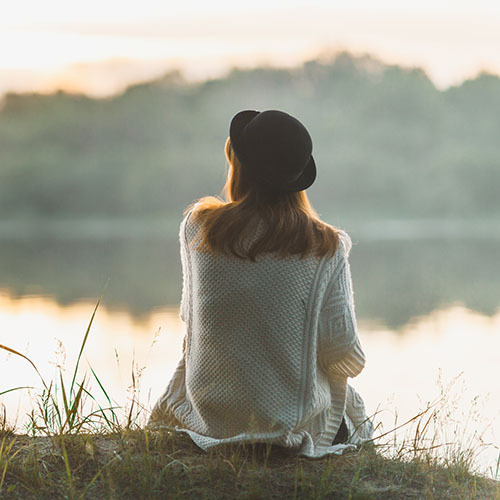 A report from the Mental Health Foundation found that nearly two thirds of us have experienced a mental health issue at some point in our lifetime. 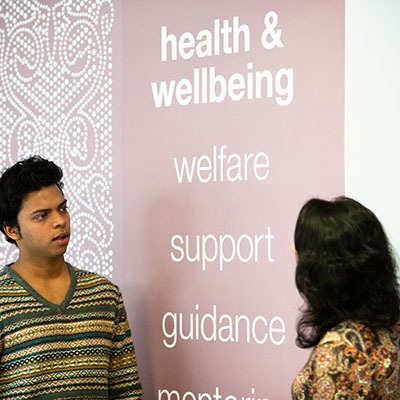 There is lots of help available at Coventry University, the health and wellbeing team’s support areas include disability, welfare, counselling, mental health, and care leavers’ support and workshops. Based in TheHub, health and wellbeing offer support to all students. The department is made up of an admin team, disability advisers, study support tutors, mental health advisers, counsellors and a welfare officer. They also have an on-site Medical Centre (which you should register with once you enrol!). The Spirituality and Faith Centre on the 3rd floor is a relaxing space, welcoming all students of faith and those of none. Did I mention they have their own space for meditation and relaxation?! Our Disability Support Team is made up of disability advisers, who provide advice and guidance for disabled students, and study support tutors who provide academic support, such as help with essay structure, grammar, punctuation and spelling. If you have a long-term medical condition, disability or specific learning difficulty, it is important you make yourself known to health and wellbeing so they can advise of the support available to you as soon as you get here. Many students with disabilities are entitled to university support provisions such as Individual Exam Arrangements and Equipment Loans (these pages are accessible through the student portal). Some students may be eligible for Disabled Students Allowance (DSA) which fund additional support, such as mentoring and one-to-one study skills support. Read some of the self help leaflets and take a look at the videos- you’ll find information on how to cope with low mood, depression, anxiety and a range of other topics. You can download Coventry University’s Health and Wellbeing app for iPhone or here for Android. 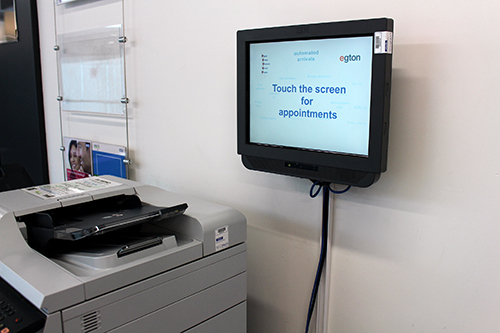 It features interactive maps to University buildings, the NHS Walk-in centre and A&E, emergency contact information and links to public transport information. The health and wellbeing team is on Facebook and Twitter! If you weren’t aware of health and wellbeing, you probably didn’t know they’re on Facebook and Twitter, so if you’d prefer to tweet or DM them, get in touch. They’re happy to answer any questions you have, plus it’s a great way for you to keep up to date with all things health and wellbeing. Remember although you can’t see it, your mental health is equally as important as your physical health, so if in doubt – seek support.